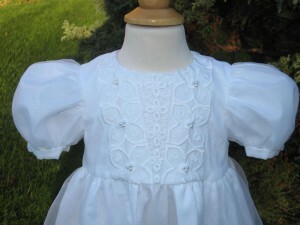 Little Doves was founded in 2002 by Linda Patrick following the birth of her daughter Claire. Linda was so keen to find that perfect christening robe for Claire, but after searching numerous stores and websites realised that the one she desired did not exist. So... she made it. 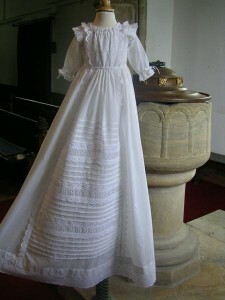 Thirteen years later Little Doves now holds a reputation for creating the most exquisite bespoke christening gowns and outfits. 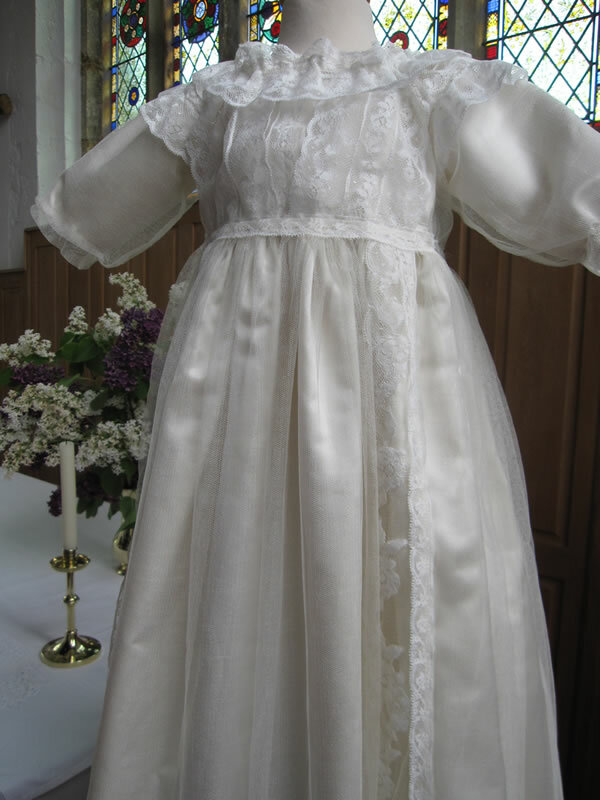 And today Linda is one of the most exciting christening gown designers to be found, and has even had her work featured in the BBC period drama The Paradise (click here to read more about that stunning Victorian style Christening gown). Linda has a love of Victorian and Edwardian fashions and many of her designs are influenced on these styles. As a young girl she used to watch Duchess of Duke Street and other period dramas, and, after each episode would go away and create the gowns and dresses that she had seen for her rag doll. Even at a young age Linda was meticulous in the detail she put into her work. And this attention to detail continues to this day. Personalised hand embroidery is also now a trademark of Linda's work. Whatever you wish to be embroidered can be accommodated. From flowers to crests, monograms to shields. Linda also has an extensive collection of Victorian embroidery patterns and transfers for you to chose from, to make sure that the embroidery is in keeping with the design of the christening gown. Only the finest silks, softest cotton lawn and exquisite French and Swiss laces are used in creating each garment. These collections of christening gowns are hand made using the highest quality materials. Each garment is lovingly designed and created by Linda in her studio in rural Lincolnshire, England.